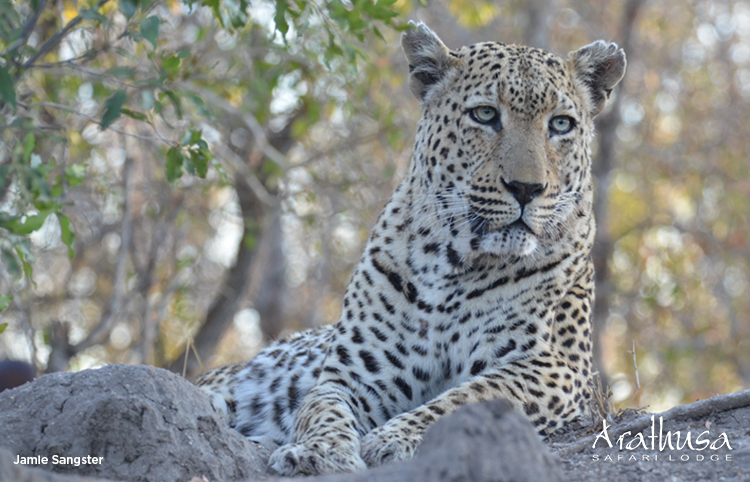 Hukumuri – a new and relatively young male (about 5 years old) – has cleverly and successfully wedged himself between the western male, Anderson’s and the eastern male, Tingana’s territories. They were either not frequently enforcing their boundaries, or didn’t detect him quickly enough to deter him. Photos of Hukumuri, taken from Croc Bridge in Kruger National Park, have emerged and suggest that he travelled some 150km from the south-east to arrive here. And he recently passed a major test of his resolve when he stood his ground against the massive Anderson to protect his acquisition. This standoff took place just a kilometer from the lodge! 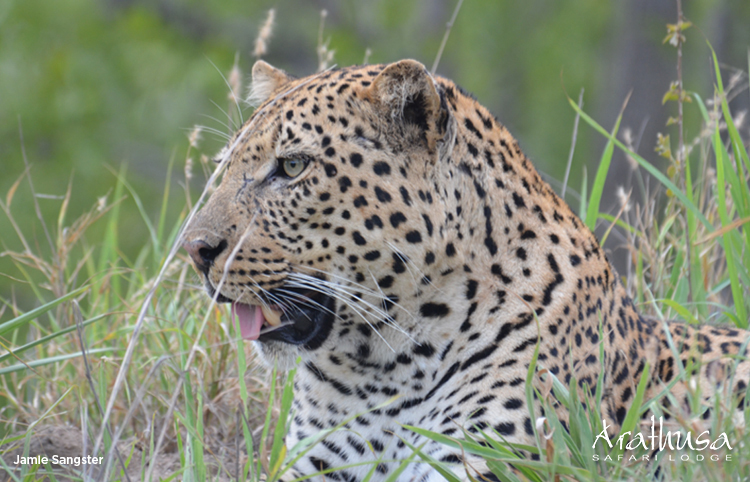 Hukumuri has since mated more than once with our new western leopardess Xidulu (Ingrid Dam’s daughter from Londolozi Game Reserve) – including on one comical occasion when he was closely followed by a curious Mvula (now thought to have died of old age). Hukumuri has also been seen being seduced by Tiyani, who is still around and using the western strip of her mother, Salayexe’s former territory. The slightly older Xidulu has largely claimed this domain, but hopefully Tiyani’s small inheritance will allow her to find her feet and establish an area of her own. 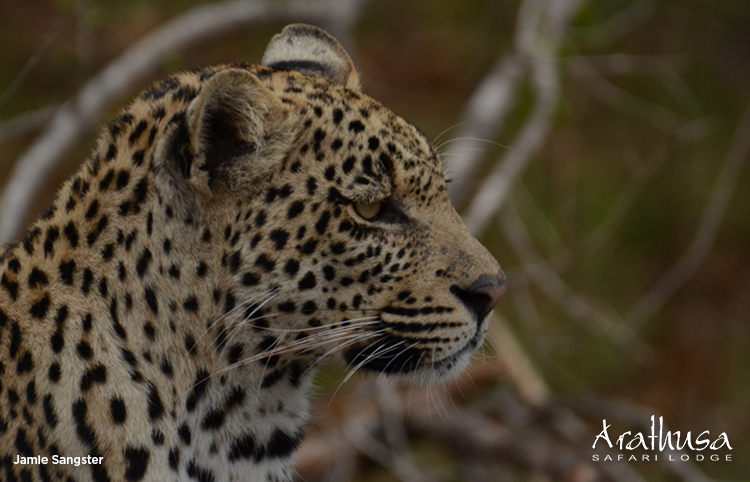 Hukumuri and Xidulu’s presence has also had effects in the east, where there are leopardesses with dependent and sub-adult offspring of Tingana’s. 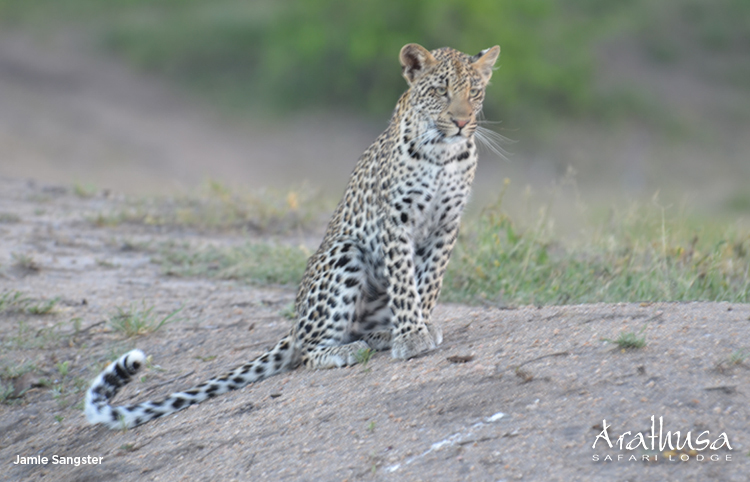 Shadow and her yet-to-be-named daughter have not been seen since the new arrivals started venturing into the western part of our eastern traversing area, and scent-marking and vocalizing to claim territory. A weary Tingana has also withdrawn further north-east and is looking better for it. Luckily for him, nothing much has been seen or heard of his original eastern rival, Quarantine (Mvula’s son). 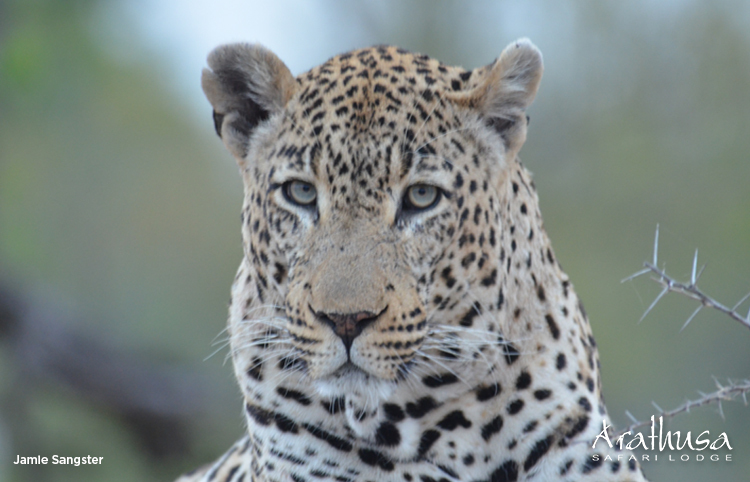 Hukumuri is also likely to have had a part to play in Thamba’s (Tingana and Thandi’s son) move towards Londolozi and Singita’s Kruger concessions – although, run-ins with his half-brother, Hosanna (Tingana and Karula’s son) also probably had an influence. 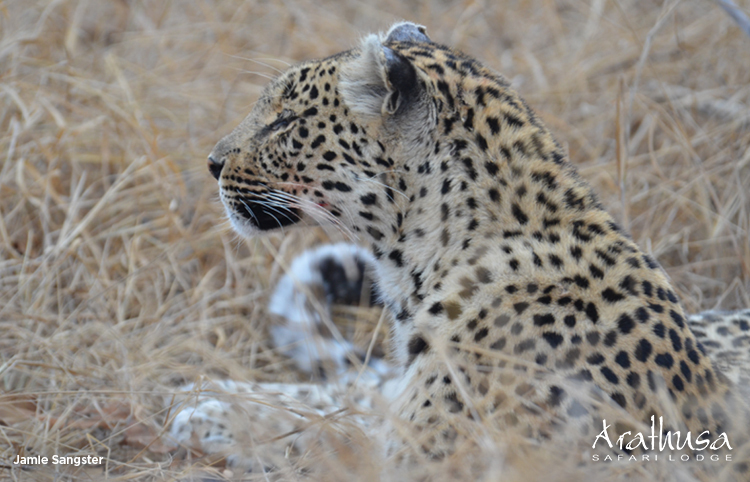 Hosanna has since been seen a little worse for wear, wandering as far as Manyeleti Game Reserve, north of Kruger. Interesting what a stir one male (leopard) can make! He is a handsome male and, after a nervous start, has proven himself a force to be reckoned with – and a fine animal to view – having established himself properly, knowing his territory, resident rivals, and lodges well by now. 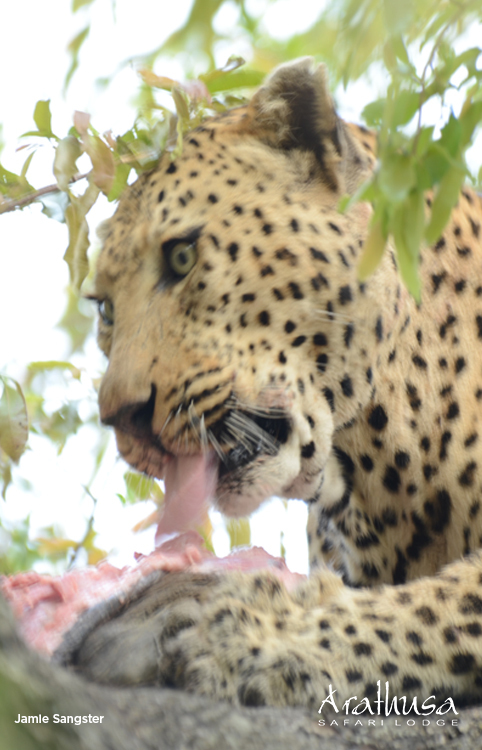 And with Tingana having had many offspring in this area, its high time for a shake-up in the gene pool, which can only do our resident leopard population good. 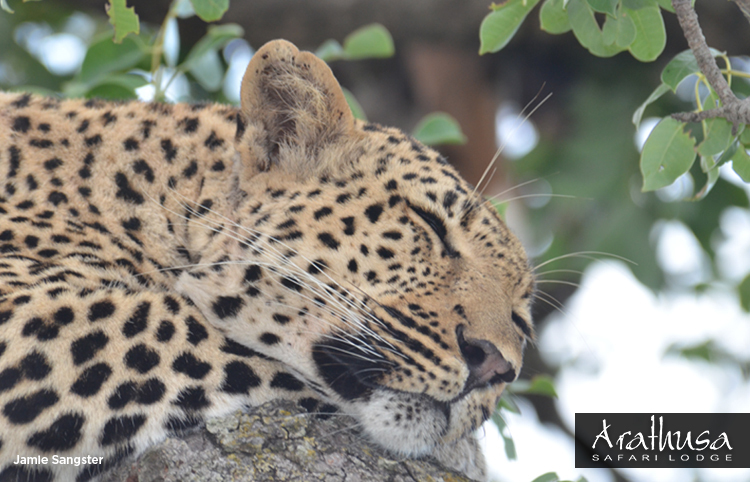 We eagerly await the arrival of Hukumuri’s cubs in the not too distant future!